If you ever lose important documents on your Mac, you need a Mac data recovery software to help you recover your lost files. 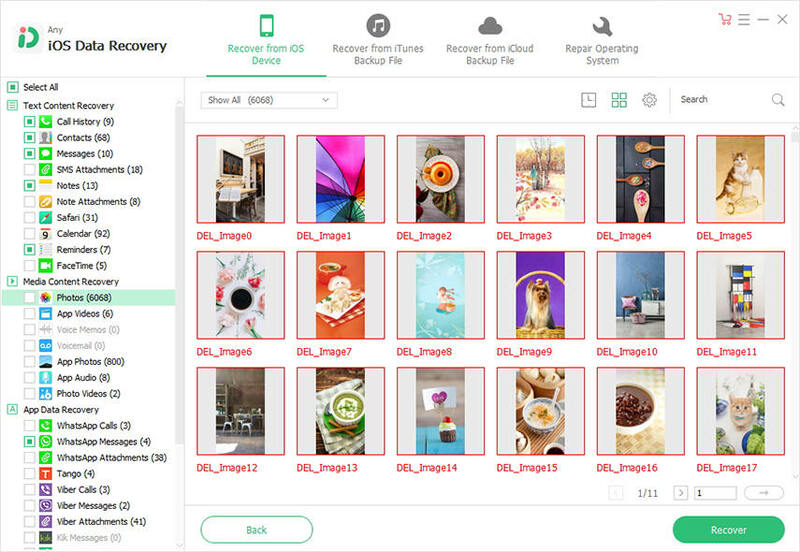 There are dozens of such recovery software in the market and so it has become a bit difficult to choose the one that works for you. Fortunately, we have handpicked the top ten data recovery software Mac that you can use to recover your lost files. Any Data Recovery for Mac, is an excellent software that helps you recover deleted files Mac. With its built-in technology, the software is capable of recovering files even in the worst cases when all other software have given up. It ensures you get your deleted files back on your Mac regardless of how you lost them. Recover a number of various file formats including photos, videos, office documents, and so on. Recover Mac data lost due to wrong deletion, hard drive crash, uncertain system shutdown, virus attacks, power surge or file system corruption. Recover data from any Mac based device such as a hard drive, USB drive, media player, and so on. Follow the three-step procedure to help you quickly recover your lost data. Stellar Data Recovery Professional for Mac is a professional file recovery Mac tool that allows you to get your lost data back even from severely corrupted hard drives. The software can help you recover data from your MacBook Pro, MacBook Air, iMac, and Mac Pro. It supports the latest version of macOS which is Mojave as well so your data can be recovered even if you are on the latest version of the OS for your Mac. Many users who tried the software found the interface to be very user-friendly. 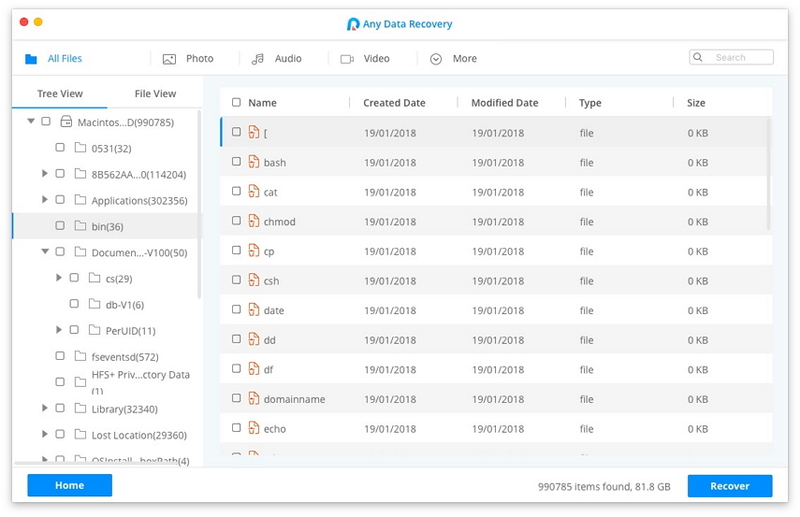 EaseUS Data Recovery Wizard for Mac allows you to recover and restore any number of files you have lost on your Mac machine. All that recovering requires is a few clicks from your side and then the software starts doing its magic. You can also see the previews of your files before they are recovered so you know exactly what is going to be recovered on your machine. Like many other software, it follows the three-step procedure to recover your data on your machine. Users who gave a shot to this software said they loved the ability to recover an unlimited number of files on their Macs. If you have lost entire partitions in addition to your files, Disk Drill Pro can help you recover your lost partitions as well as all of your files in a few clicks. The software works even on the latest macOS Mojave and is capable of recovering almost any kind of file on your Mac machine. Once you have installed the software, all you need to do is press a few buttons and it starts scanning your Mac to recover files. It has both standard and deep scans to find files that other software can't. More than the software itself, many users liked the extra utilities that come with the software bundle. These utilities help keep your Mac in a good shape. M3 Free Mac Data Recovery is a free data recovery Mac software that lets you recover files even after you have emptied the Trash and have even formatted your hard drives. The software is capable of resucing your files from various file systems in various situations. It is fully compatible with the latest version of macOS Mojave and this is what drives people to use this software. Those who have used the software are happy with the results as they were able to bring their lost files back on their Macs. UndeleteMyFiles Pro helps you recover those of your files that were accidentally deleted on your Mac. It can recover files from hard disks, USB drives, SD cards, and other storage media types. 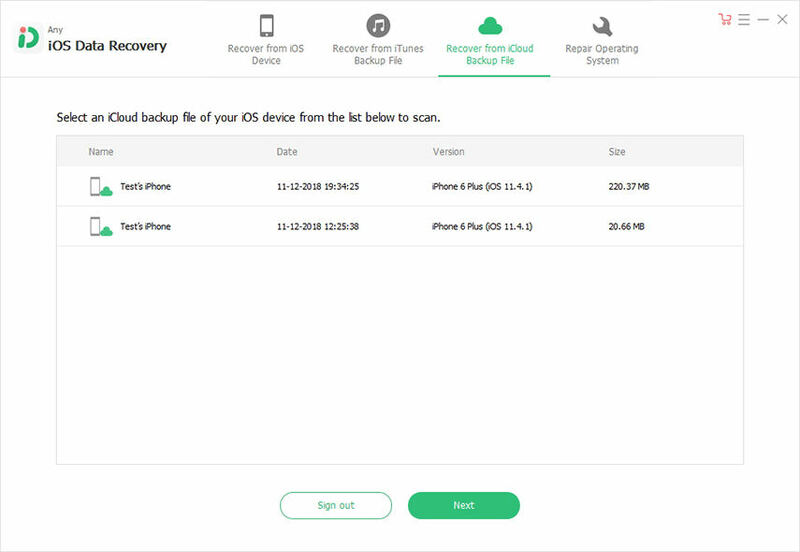 The built-in recovery wizard allows you to quickly find your lost files and gives you an option to restore the files back on your Mac. PhotoRec for Mac is a free and open-source software that helps you recover files from various storage types on your Mac. Instead of reading the surface, it goes deeper into the underlying data and tries to help you get your lost data back on your machine. It works on multiple platforms and supports various file systems including FAT, NTFS, eXFAT, and so on. Users loved the simplicity of the software which is quite difficult to find in modern day software. Wondershare Data Recovery for Mac is a data recovery software with easiness at its top. What makes this software stand out of the crowd is its interface and the easy way it works. Soon as you install the software and launch it on your Mac, you find that how easy it is to use it to get your lost files back. It has support for multiple file formats, has a preview feature, and can recover data from most common situations. Users liked the professional approach of the software. TestDisk for Mac is more of a partition recovery tool and less of an actual file recovery software. If you ever suddenly find that a partition has gone missing on your Mac, the software can help you find and restore it on your machine. It can even fix the broken partitions on your machine. Those who used the software liked the ability to recover lost partitions which many software are unable to offer. Minitool Mac Data Recovery focuses on helping you get your deleted data back regardless of how you lose it. Many users lose data because of a damage to the hard drive, they accidentally deleted a file, their partitions went missing all of a sudden, and so on. The software ensures that you have access to your files no matter what. Users liked the compactness and the modern interface of the software. We hope the above post provides you with enough information to help you choose a suitable Mac data recovery software for yourself. With plenty of handpicked options in the post, you are certainly going to discover the tool you have been waiting all this time.